The word, which for many years did not have such an active and apparent meaning, is one of the most talked about today: sustainability. But after all, what does that mean? In practice the concept that seeks to promote the use of our environmental and planetary resources as a whole, as well as the exploration of areas without aggression to the environment. Therefore, this concept is expected to raise awareness to create a correct balance between human actions and activities with the environment, after all, one depends on the other to ensure their existence. ARCIGS-M focus the need to implement better technologies and innovate solar panels to increase solar energy efficiency. But how do you ask? We interviewed ARCIGS-M coordinator Professor Marika Edoff, from the University of Uppsala to know how. 1. How is the progress of ARCIGS-M? -I think we are having good progress on the different topics, all of which contributing to the understanding and development of thin film solar cells. The success of the complete ARCIGS-M technology needs all pieces put together in one single device. This is challenging and will be the focus during the rest of the project. 2. How can the devices developed under the ARCIGS-M project contribute to the development of innovative solar panels? -ARCIGS-M includes several different work packages and tasks. One task is about substituting glass with stainless steel with an isolation layer. Here already a second promising version is available. Passivation of the back contact is the focus of another task including nano-sized patterning fit for upscaling. This is a necessary component for ultrathin solar cells, but valuable also for high-quality standard thickness devices. It also enables having transparent back contacts, which can be used in bi-facial solar cells. Reflective back contact involves both optical modellings as well as the development of the reflective structures. The integrity of the reflective layers in solar cell module prototypes is the challenge here, but high reflectivity in combination with high-quality CIGS layers will lead to high efficiencies that are the goal of ARCIGS-M.
3. What distinguishes ARCIGS-M from other similar projects, companies or institutions that develop the same solutions in the field of solar renewable energies? -The uniqueness of ARCIGS-M is the complementarity of the partners. Each partner contributes with his/her expertise in a truly collaborative way. Samples are travelling across Europe, and results move between partners in all directions. 4. How do you see the application of the final product? -The solar cell market is genuinely competitive. The application that we have found most suitable for the ARCIGS-M technology is building integration. Combining steel or glass with the aesthetic quality of a black monochrome appearance is what we are looking. 5. What have been the major research and development breakthroughs of the project so far? -Up until now, the progress has been in the components, not in the full integration of the prototype. Worth mentioning is the highly reflective back contacts, the innovative power in the partners when it comes to patterning and the high-quality CIGS layers with only 500 nm thickness. 6. With the project in its mid-term, what do you think the most significant challenges have been? -Getting all the processes timely integrated into the project. A lot of effort has been on coordination since the project involves a great deal of collaboration. At the same time, this has been the most rewarding experience, since mutual learning is what comes out of collaboration! 7. How could ARCIGS-M contribute to the democratisation of solar renewable energies? -Photovoltaics is the present and the future! It is the most democratic way of generating electric power. Our goal is a product that is easy to integrate into buildings and can be produced at low cost and with minimum material consumption. 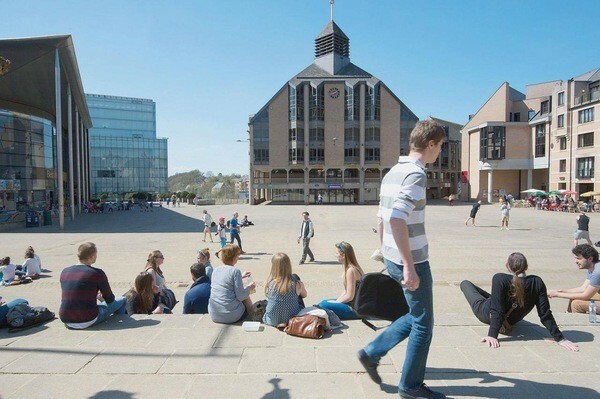 The Université Catholique de Louvain (UCL), founded in 1425, is mainly located in Louvain-la-Neuve (Belgium). The structure and method of operation of the University classify into three sectors: humanities and social sciences, medical sciences, and science and technology. The science and technology sector of UCL hosts the Information and Communication Technologies, Electronics and Applied Mathematics (ICTEAM) institute. The Institute is currently home to more than 40 professors and more than 200 researchers. These researchers carry out both basic and applied research in key fields of information and communication technologies, electronics, computer science, and applied mathematics. The electrical engineering department (ELEN) of ICTEAM hosts the UTOPIC by using the existing facilities available at Wallonia Electronics and Communication Measurements (WELCOME) and Wallonia Infrastructure Nano FABrication (WINFAB) technological platforms. The central role of UCL in ARCIGS-M is to provide novel designs and cell concepts (aligned to ARCIGS- objectives), optoelectronic characterisations and device modelling (1D/2D and 3d) of solar cells and related test structures. All these activities are perfectly aligned with UCL on-going research interests and activities and the participation in this project is utmost important for their on-going research activities, since it provides a platform to exchange, realise and implement novel cell technologies with state-of-the-art laboratories and industrial partners in Europe. This project also helps UCL to position themselves as a pioneer in advanced electrical characterisation and modelling within the thin-film PV community. From UCL, the ARCIGS-M can count with the participation of Dr Ratan Kotipalli, Sr. Post-doc researcher in Silicon and thin-film PV cell technologies, who is leading the WP4 with the supervision of Prof. Denis Flandre in UCL. Prof. Flandre, Dr Oliver Poncelet, an expert in optical modelling and characterisations and Dr Khaled Ben Ali who will provide his expertise in 2D/3D device modelling of solar cells and related test structures. 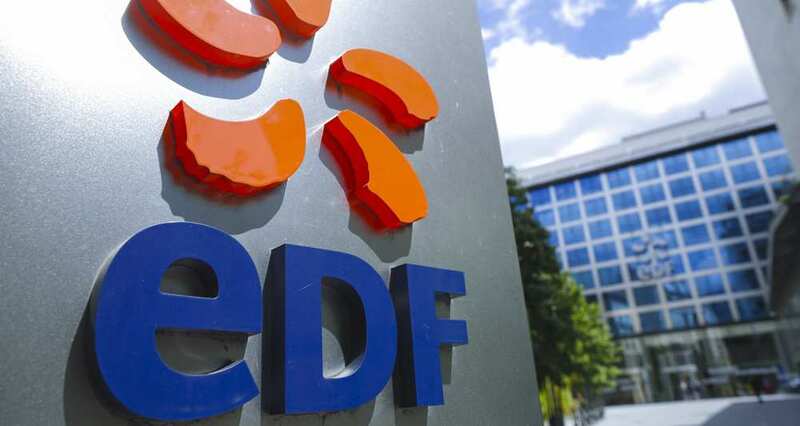 EDF Group, one of the leaders in the European energy market, is an integrated energy company active in all areas of the business: generation, transmission, distribution, energy supply and trading. The Group is the leading electricity producer in Europe and, in France, it has mainly nuclear and hydropower generation facilities where 88% of the electricity output is CO2-free. The Group is involved in supplying energy and services to approximately 37.6 million customers in the world. In the field of renewable energies, the EDF Group is investing €662 million in R&D in order to identify technological gaps with significant competitive stakes and to contribute to developing the most promising industrial and commercial solutions. In particular, since 2005 EDF has invested with the CNRS and Chimie ParisTech in a Combined Research Unit: the IRDEP (Institute of Research and Development on Photovoltaic Energy), in order to create a centre of excellence dedicated to research on new-generation PV cells. The role of EDF Group in ARCIGS-M is to investigate an alternative CIGS deposition process, reactive sputtering and the industrial viability of all newly developed technologies, e.g. on cost and environmental impact as well as the socio-economic impact of the project. In the framework of the IPVF (The Ile-de-France Photovoltaic Institute), EDF has the determination to develop and maintain a partnership with the European CIGS actors, thereby fostering technological innovations in order to improve the environmental quality as well the socio-economic aspects that come along. The EDF team who will participate directly in this project is Dr Marie Jubault - who is animating the sputtering group of IRDEP, which includes CIGSe deposition by reactive sputtering, and front/back contact development for thin film solar cells -, and, Dr Frédérique Donsanti who is in charge of animating the group of ALD, evaporation and annealing of IRDEP. She has participated in national and European research projects and also co-supervised 5 doctoral theses. Advanced Coatings & Construction Solutions scrl (AC&CS) is a private R&D centre, counting around 100 PhD’s, researchers and technicians, and it's part of the CRM Group (Centre for Research in Metallurgy). Located in Liège (Belgium), AC&CS has decades of experience in metal sheet coating using wet and dry (vacuum) technologies. Several research topics related to energy applications, such as light reflectors, solar thermal absorbers, fuel cells, heat shields or (organic) light emitting diodes, have been led over the past 15 years by the Surface Functionalization department. AC&CS owns a large facility centre, several labs and pre-industrial roll-to-roll pilot lines as well as an unparalleled expertise in product/process industrial development in the field of metallurgy and metal science in general. AC&CS will have an active part in the development and transfer, to pilot scale, of an ultrathin insulated steel substrate, functionalized thanks to roll-to-roll processes. This new substrate will act as an insulating flexible substrate for the completion of the solar cell. AC&CS has large experience in the field of coil coatings and chemical formulation for steel functionalization and its expertise will be vital regarding the development of new applications within the project. AC&CS has also developed low cost insulated steel, offering large possibilities in terms of solar cell processes and design. The ARCIGS-M project is the opportunity to promote functionalized steel developed in AC&CS as a suitable low-cost substrate for the completion of very high-efficiency solar cells. From this partner, ARCIGS-M will work with Ir. Jean-Baptiste Richir, Senior project leader coordinating the development of insulated steel substrates for thin films solar cells integration, Dr Louise Samain who leads back contact development for CIGS solar cells, laser scribing for monolithic interconnection and implied in LCA analysis, Dr Adeline Lafort, team leader is in charge of the roll-to-roll pilot lines located in clean room, used for the wet (dielectric) and vacuum (back contact & passivation layers) coatings, and lastly Dr Lionel Fourdrinier, Programme leader coordinating development of PV thin films solutions, especially oriented for BIPV applications. With a long history of development and supply lithography solutions, Obducat was the first company that commercialized Nano Imprint Lithography (NIL) and Electron Beam Recorder (EBR) and is now the most competitive supplier of NIL market. Obducat products can be divided into two groups base on technical platforms, such as Nano Imprint Lithography (NIL) systems and Wet processing systems. This technical agility secures a high-performance system of equipment and processes suitable for industrial manufacturing and academia. The technology allows replication of extremely accurate structures at micro and nanoscale from a master onto a typically resistant covered surface or into a polymer film. Constantly trying to find new solutions, Obducat is currently working on the development of integrated lithography systems where both wet processes and surface patterning by NIL are done within a fully integrated and closed system which will lead to an important advantage for several applications. This vision match one of the Obducat key strategic objectives that are to maintain a strong and broad patent based production for the development of new technologies, guaranteeing the costumers reliance. For ARCIGS-M project, Obducat will develop a nanoimprint technology for the fabrication and replicate of light management structure and also do a thorough investigation of scalability of nanoimprint technology in CIGS manufacturing and its economic assessment. This partnership will make possible to offer new products to the market. Babak Heidari, Chief Technical Officer and Rizgar Jiawook, Scientist and Senior Manager at Obducat will share their expertise on ARCIGS-M project. Know more about Obducat here. Located in Slovenia, the University of Ljubljana is the largest and oldest university in the country. Always aiming forward to progress, the university has been both a participant and coordinator of a number of projects within the EC’s Framework Programmes for research, technological development and dissemination. Considered as a crucial part of the university, the Laboratory of Photovoltaics and Optoelectronics (LPVO), at the Faculty of Electrical Engineering, is the central research group for photovoltaics (PV) and optoelectronics in Slovenia. Many important kinds of research are being done at LPVO, e.g. optical and electrical modelling and simulations of PV devices, light management strategies, including nano- and macro-textures and nanostructures for an optimal confinement of light in solar cell structures, optical characterization of films and devices, light scattering characterization, optical constants determination via R&T, detection and analysis of defects and inhomogeneities on small and large area devices (such as PV modules) using electroluminescence and light beam induced current techniques along with three-dimensional electrical modelling and outdoor PV monitoring. UL/LPVO main goal for ARCIGS-M is related to optical and electrical modelling and simulation of the solar cell structures within a feedback loop with sample preparation, optical and electrical characterization. They also intend to explore rigorous approaches (FEM, RCWA) in combination with thin-film optics and geometrical optics. This will be applied to analyse and optimise light in-coupling nanostructures, select materials and thicknesses of the layers, determine most promising wavelength-selective intermediate reflectors between the top and the bottom cell and establish efficient light trapping strategies for high optical absorption in the top and the bottom cell. Detailed electrical simulations of the devices will be performed using 1-D and 2-D numerical simulator ASPIN for the selective back contact schemes. The ARCIGS-M project offers international cooperation of distinguished partners in the field of CIGS PV technology. It is a strategic opportunity to strengthen R&D activities in the technology across Europe and for UL/LPVO it gives a unique opportunity with a direct access to prove the advanced concepts of light management using a closed loop design and optimisation between the experimental and simulation part of R&D. Dr Marko Topic, Professor at the University of Ljubljana and the Head of Laboratory of Photovoltaics and Optoelectronics and Dr Janez Krč, full Professor at the University of Ljubljana, will work directly on ARCIGS-M project. Know more about the University of Ljubljana here. Solibro Research AB, Uppsala, Sweden, is the R&D organisation of Solibro which has its production in Thalheim, Germany. The main activities performed at this R&D organisation are in the area of CIGS thin film solar cells. Up to date the cumulative production of commercial CIGS thin film PV modules amounts to 230 MWP, which makes Solibro the second largest CIGS company worldwide. Embracing this project, SRAB main role will be to optimise the CIGS process for a 0.5 µm thickness and integrate this process on substrates with high reflectance and passivated back contact developed by other project members. The second main activity is to scale this process to full-size modules. In recent years, the competition in the PV industry became increasingly fierce and, in order to stand out in the industry, SRAB reduced production costs by lowering the CIGS thickness. This project will establish a connection between new partners who can share expertise in certain areas outside SRAB core competence, giving them an advantage regarding the competition and knowledge, fulfilling their employee’s needs. From SRAB, the team who will participate directly in the project will be Dr Viktoria Gusak, PhD degree in physics from Chalmers University of Technology, Dr Sven SÖdergren, PhD degree in Physics from Uppsala University, Dr Ulf Malm, electrical characterization and modelling, Dr Erik Wallin , PhD in Thin Films Physics from LinkÖping University, Dr Olle Lundberg, Vice President, Research & Development at Solibro Research AB and Dr Lars Stol, the adjunct professor at Department of Engineering Sciences at Uppsala University and CTO at Solibro. Know more about Solibro AB work on the official website. Founded in 2004 and based in Järfälla, Midsummer is a leading supplier of equipment for cost-effective manufacturing of high efficiency, flexible CIGS thin-film solar cells and is the only supplier to deliver turnkey systems for manufacturing of flexible solar cells, combined with an in-house proprietary CIGS process. They have a leading position in the market by focusing the customer needs by setting up a factory, give the know-how and technology needed in order to create an efficient manufacturing process. This technology allows their customers to manufacture customised lightweight flexible solar panels, which can be attached to any type of surface, therefore contributing to the CIGS flexible solar modules popularity. For ARCIGS-M project, Midsummer AB will integrate the to-be-developed insulated steel substrates, back surface passivation and reflective back into its CIGS thin-film solar cell process. Another crucial objective will be the optimisation of processes which will boost the performance of the solar cells and also make it possible to utilise a thinner absorber layer to absorb the sunlight. This collaboration is important in order to increase the throughput of Midsummer’s DUO tool by increasing the cell efficiency and shortening the processing time needed to make the solar cells. This two-fold improvement can increase the yearly output of a DUO tool from 5MWp/year to over 10 MWp/year. By this improvement, a DUO tool will be even more competitive in the market for turn-key lines for solar cell production. The bright minds from Midsummer AB to participate in ARCIGS-M will be Dr Esko Niemi, PhD at Royal Institute of Technology on CIGS thin film solar cells, MSc Patrice Bras, who has a master's degree in physics engineering from the Institut National des Sciences Appliquées (INSA) of Toulouse in France and MSc Klara Takei, who has a MSc in Materials Design and Engineering with the focus on sustainable energy. For more information about Midsummer AB visit the official website. Uppsala University was founded in 1477 and is today a comprehensive modern university, situated in Uppsala, 60 km north of Stockholm, Sweden. The university consists of three scientific domains, one for Humanities and Social Sciences, one for Medicine and Pharmacy and one for Science and Technology. One of the focus areas at Science and Technology is renewable energy, where solar cell research is an important component. The solar cell activities at Uppsala University reside in the Ångström Laboratory campus and involve more than 50 professors, researchers, PhD students and engineers, divided in three groups, one for chalcogenide solar cells, one for perovskite and dye sensitized solar cells and one activity dedicated to solar cells in building environments. ARCIGS-M is coordinated by Professor Marika Edoff at the department of Engineering sciences, who is leading the research about thin film chalcogenide solar cells, based on CIGS, CZTS and SnS and their alloys. The research is performed in the clean room facility at the Ångström laboratory in a lab dedicated to solar cells development and characterization, from fundamental understanding of the material properties to solar cell measurements. Various European projects have contributed largely to the success of the chalcogenide solar cell research since the late 1980s and the group at Uppsala University is and has been partner in about 10 European projects from the FP4 through FP7 to H2020 programs. ARCIGS-M is dedicated to keep Europe in a leading position both by increasing the efficiency and by developing methods to reduce cost and weight of solar panels. For more information about the thin film solar cell research at Uppsala University, visit our web page . The INL - International Iberian Nanotechnology Laboratory, is an international research organization created to foster interdisciplinary research in Nanotechnology and Nanoscience. INL provides a high-tech research environment addressing major challenges in nanomedicine, nanotechnology applied to environmental & food control nanoelectronics, and nanomachines and molecular manipulation at nanoscale. The core facility of INL is a class 100 micro and nano-fabrication clean room of ~700m2, providing a large variety of semi-industrial processes for lithography, material deposition, and etching, capable of being easily transferred to the industry or of prototyping large-area devices. INL is located in Braga, Portugal, in the north part of Portugal, less than 100 km away from the Spanish border. Close to 200 researchers from 23 nationalities take part in research and development activities dedicated to nanotechnology. In ARCIGS-M, INL will nanofabricate structures that reduce the number of defects at the rear interface of thin film solar cells. Such feature is an important step that will allow for the creation of ultrathin Cu(In,Ga)Se2 solar cells. INL has the experience in quickly prototyping nanotechnology solutions and creating benchmark solutions that the industry can follow. Furthermore, INL is also responsible by the projects communication and dissemination. INL already performs research in thin film solar cells, moreover nanotechnology is the core activity of ARCIGS-M. The novel solar cell architectures that will be developed by ARCIGS-M are nanotechnology solutions that fully meets INL objectives of exploring nanotechnology for the gain of society. Likewise, the international status of INL encourages us to interact with all the European partners involved in this project, both academia and industry, increasing then, INL´s already vast network. A team of five people are involved in the project. Pedro Salomé, group leader of the Nanofabrication for Optoelelctronic Applications, and Sascha Sadewasser, group leader of the Laboratory of Nanostructured Solar Cells, are the main scientists. Both scientists have a strong background in Cu(In,Ga)Se2 thin films. A PhD student and a lab technician are hired trough the project. Communication and dissemination is being handled by Gina Palha, communication officer from INL. On January 31st the partners of the H2020 Advanced aRchitectures for ultra-thin high-efficiency CIGS solar cells with high Manufacturability - ARCIGS-M – project met in Brussels for their kick-off meeting. The project is funded by the Horizon2020 program from the European Commission on the call H2020-NMBP-2016-two-stage – Call for nanotechnologies, Advanced Materials, Biotechnology and Production. The consortium gathers 13 partners: Uppsala University (Sweden); Interuniversity Micro-Electronics Centre .Imec (Belgium); Centre National de la Research Scientifique (France); International Iberian Nanotechnology Laboratory (Portugal); Midsummer AB, (Sweden); Netherlands Organisation for Applied Scientific Research (Netherlands); Solibro Research AB, (Sweden); University of Ljubljana (Slovenia); Obducat (Sweden); Électricité de France (France); Advanced Coatings & Construction Solutions (Belgium); ArcelorMittal (France). The consortium includes SME’s and industrial partners positioned throughout the complete solar module manufacturing value chain. Their roles will be to develop and commercialize new equipment, products and/or services. According to the project coordinator, Professor Marika Edoff from Uppsala University “The project contribution will lead the way for the European lead in the worldwide photovoltaic market of thin film solar cells”. This project´s goal is advanced materials and nanotechnologies for novel Cu(In,Ga)Se2 photovoltaic device architectures beyond that of the current state-of-the-art technologies. The technology targets the building integrated photovoltaic sector and enables several innovative solutions for building integrated photovoltaics. This project will lead to enhanced photovoltaic performance, but also yield and stability, while maintaining manufacturability. The consortium already pioneered the proposed advanced material solutions up to technology readiness level (TRL) 4, and this project targets to bring these innovative concepts to TRL 6 in a low-cost demonstrator. ARCIGS-M team is proud to announce the launch of our website. In this website we provide a clear message of who we are, what we stand for and what is our goal. The website boasts a clean design and intuitive and consistent site-wide navigation system with improved menu functionality that directs you to the information most relevant to you. It is also fully responsive with mobile devices, making it easy to navigate on a wide range of web browsers and portable devices. We will update our news section constantly and if you’d like to subscribe to receive the latest updates in your inbox, please feel free to send us an email. We will continue to communicate regularly through our twitter account and will provide new articles and notifications from ourselves and our partners. We also plan to continue adding more video content and project information to provide you with all of the information about our activity until the end of the project. We’re really proud of the new website and feel it will create the experience you’re looking for when you pay us a visit. This project has received funding from the european union's horizon 2020 research and innovation programme under grant agreement No. 720887. The content of this website REFLECTS only the author's view and the Funding Agency is not responsible for any use that may be made of the information it contains.